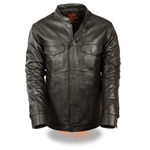 Ride in style with our top quality men's leather biker jackets. 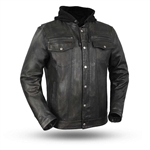 Choose from popular styles and designs including skull graphics and the popular classic old school-style motorcycle jacket. 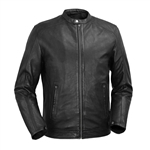 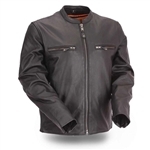 Here at Leather Bound we search high and low to provide our customers with the best quality, best fitting leather motorcycle jackets at reasonable prices. 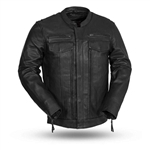 Our selection of leather jackets is constantly expanding to accommodate all of our customers needs including big and tall sizes, reflective styles and padded styles for added protection while riding. 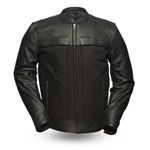 Be sure to check out our padded motorcycle jackets with body armor to keep you protected while you ride. 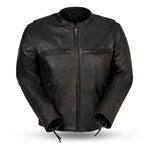 We only stock the best quality leather from top brands in the industry including: Milwaukee Leather, First Classics and Unik. 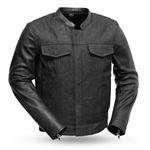 Order online for Free Shipping on all orders over $79 or visit our New Jersey location to try on styles and pick the best biker jacket for your needs.